As the theme of the Inspiration Hall in 2016, the Expo will look into how design and innovation becomes a key driving force to urban lifestyle and development. Under the categories of smart architecture, smart infrastructure, smart mobility and smart lifestyle, you are invited to visit the Expo and share your ideas about better urban living. Centred around the theme "Urbanovation", the Expo 2016 will feature urban design trends and innovative solutions in the context of smart architecture. We are proud to welcome Professor Zhu Jingxiang, Associate Professor of the Department of Architecture at The Chinese University of Hong Kong, and his team, Unitinno Architectural Technology Development Co., Ltd., to put the debut “Checkered Playroom Oasis” on show in HK after 2016 Venice Biennale. Hong Kong Creative Force remains a highlight of the Inspiration Hall. Showcasing a series of new expression of Hong Kong design talents and creation, the pavilion comprises exhibits of young designers under the theme of as "Urban Playroom" and "Urban Oasis". Besides, the Hong Kong Institute of Architects brings in awarded works of architects’ design of urban housing for the new generation. The Hong Kong Creative Force continues featuring business cases of creative marketing as well as upgrading solutions. 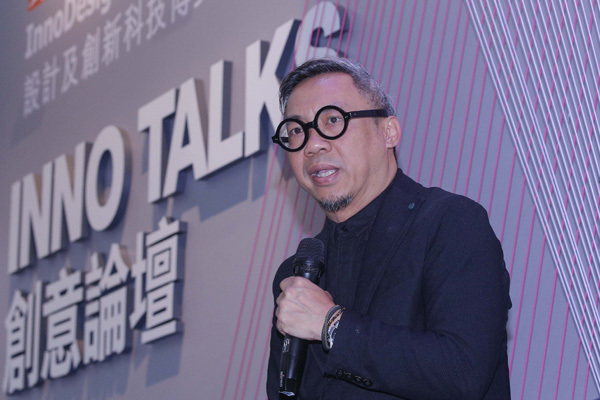 Hong Kong Interior Design Association continues the collaboration with the Expo and jointly present new thinking about urban public space of the young Hong Kong interior designers. From the perspective of spatial design, participating designers put an acute magnifying lens in transforming existing urban public space and creating new values and functionalities to our shared assets. Urban city tends to give people a dynamic yet hectic routine life, and given the scarce availability of public space, the project explores if a playroom can be created not only for the kids but for all city dwellers as a shelter of inspiration and relaxation. Collaborated with HKTDC, a group of Hong Kong young designers, using "Urban Playroom" as a theme, create an innovative set of playful games and installations to be presented in the Inspiration Hall. Integrating design, creativity and city life, the Urban Playroom should not be missed! Sponsored by the Hong Kong Housing Society and supported by the Hong Kong Federation of Youth Groups, the Hong Kong Institute of Architects organised The Innovation Youth Housing Design Competition and Construction in June 2016, dedicated to exploring youth housing design possibilities though an extensive end users’ consultation and engagement process. Tony Electronic focuses on illustration about new inventions that bring more convenience and fun to urban living. Realising with 3D printing technique, the invention section of the Inspiration Hall powered by Tony Electronic and Hong Kong 3D Printing Association gives new inspiration to our daily life. The Inspiration Hall gathers winning exhibits of international design awards from Australia, Hong Kong, Switzerland and the United States etc., collaging a global perspective of how good design can make an impact to the world. The 3rd Robot Boxing League (RBL) will be held on the last Expo day on 3rd December. Around 20 DIY robots, including the winner in the International Robot Contest (Korea) 2016 and the champion of the International Robotic Olympiad 2016, will draw a crowd of robot fans to witness the exciting contest in the Inspiration Hall. Don't miss the spectacular event! A series of talks featuring crème de la crème of the local and international creative industries, to explore creativity, lifestyle and even hot topics such as the social media marketing strategies.